Zoe came to the club at age 14 to keep her friend Joanna Thorn company and decided to have a go at some throwing. She found she liked it and began throwing some decent distances with the discus. 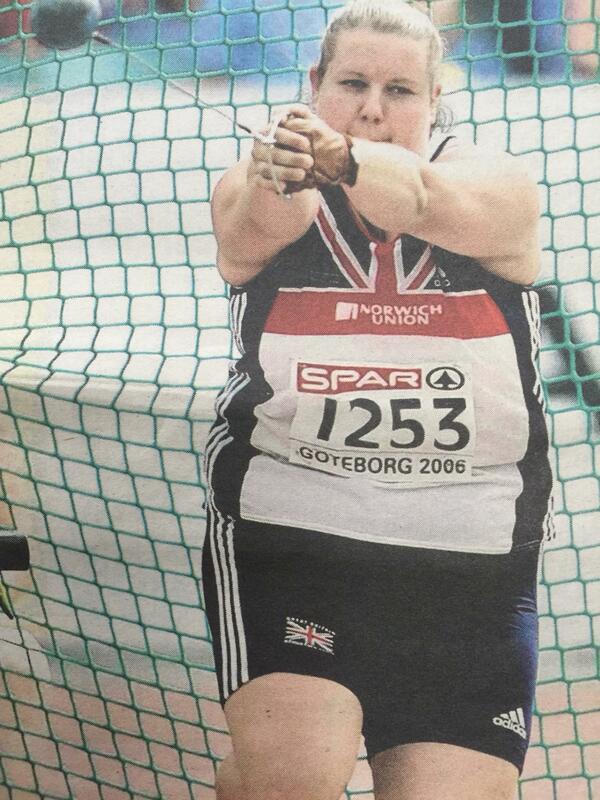 Coach Jim Campbell helped Zoe to improve and also take up Hammer. Paul Thorn continued Zoe’s development when Jim moved back to Scotland. She then spent two years working with Matt Spicer. in 1997 Zoe won the AAA U17 Championships. Zoe left the club in 1999 for opportunities of better competition. A brief spell with Bristol AC was followed by a move to Birchfield Harriers and coaching input from British International Lorraine Shaw. In 2002 Zoe competed for England in the Manchester Commonwealth Games, the start of a number of National team selections. In 2008 she competed for Great Britain at the Beijing Olympics. A Bronze medal at the 2010 Delhi Commonwealth Games representing England was a further achievement and recognition for Zoe.